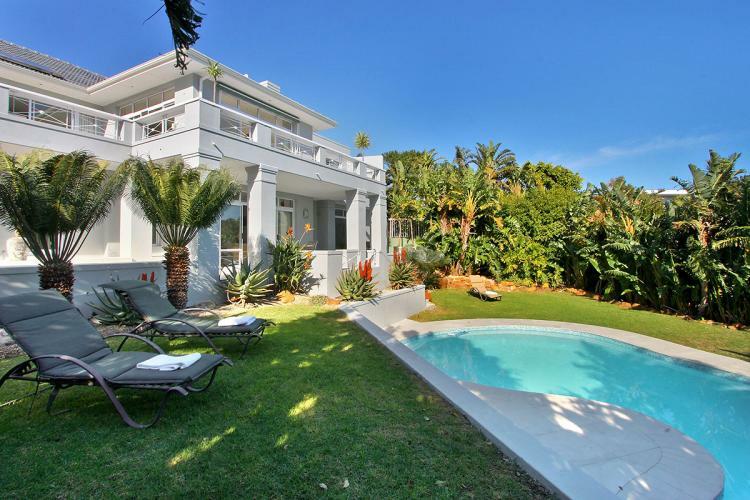 Our selection of 5 bedroom villas gives a good idea of what you can expect to find when renting self catering holiday accommodation in Camps Bay, Cape Town. We have chosen to focus on the following 5 bedroom villa rentals, as between them they give one a great idea of just what Camps Bay offers the discerning holidaymaker – with the whole family in tow! Cape Town really is a great place to bring the family on holiday, with so much to see and do. Camps Bay is very close to central Cape Town and within easy driving of some of Cape Town’s hottest activities and sightseeing attractions. 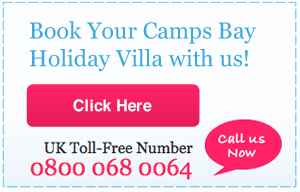 When you are finished looking, experiencing and playing, you’ll want a relaxing, beautiful and spacious holiday villa to go home to, so take a look at our selection. Relaxed and with a deliberate rustic beach house feel, the 5 bedroom villas of Glen Beach offers one of the best self-catering villa rentals in Camps Bay. The villa sleeps ten people, and it features two separate lounges – one for you and one for the kids or other members of the entourage. 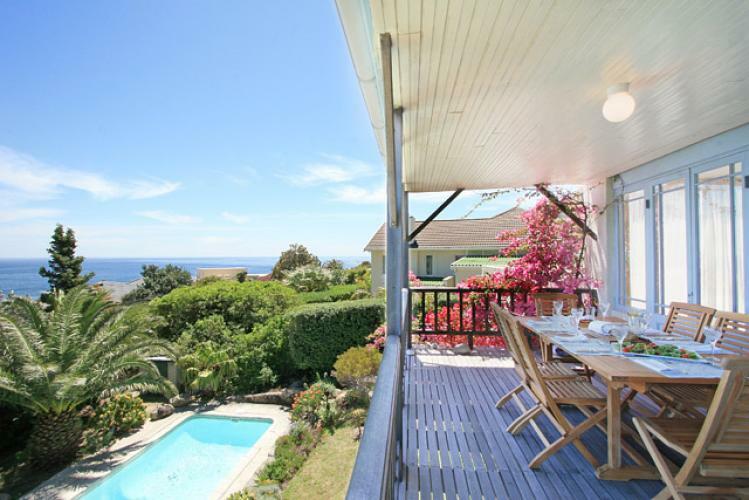 The views of both sea and mountains are simply stunning, and as a bonus the pool is heated. This is a self-catering villa, but cleaning can be arranged. Glen Beach is also very close to the beach, shops and restaurants. ‘Traditional’ furnishings and wooden floors invite bare feet to patter between the comfy couches and stone-walled balcony with its plunge pool. You could be forgiven for thinking that you are happily ensconced in a tropical paradise when you holiday at Villa Msangasanga. Luxury double storey 5 bedroom villas such as this are truly superb – with a kitchen on each level, perfect for groups or a family with grown children who might want to rustle up their own meals, maybe at 3am when they come home from the clubs in nearby central Cape Town. Msangasanga might have a tongue-twisting African name, but it could as easily be a classic holiday house on an island anywhere in the world with its lush garden and white, clean lines. It’s a home that invites you with wide open ‘Come On Summer’ arms. Iconic Camps Bay views of the sea and mountains, expansive deck and patio and a huge pool complement the perfect position of this holiday home. This home also has a live-in housekeeper, who works Monday to Friday. Less to do… more to enjoy. With classical lines, doll-house-like décor, lavender bushes and a pool you can swim lengths in, not to mention the mountain backdrop, Serendipity will melt your cares away from the moment you drop your bags in the entrance. You could also be forgiven for thinking that you are renting a place in the countryside, with its country garden and sense of space. Situated higher up the mountain slopes, Serendipity also boasts some of Camps Bay’s finest views…and that really is saying something! The main house has four bedrooms and a separate flatlet holds the fifth bedroom with its own kitchenette – again perfect for the noisy ones. 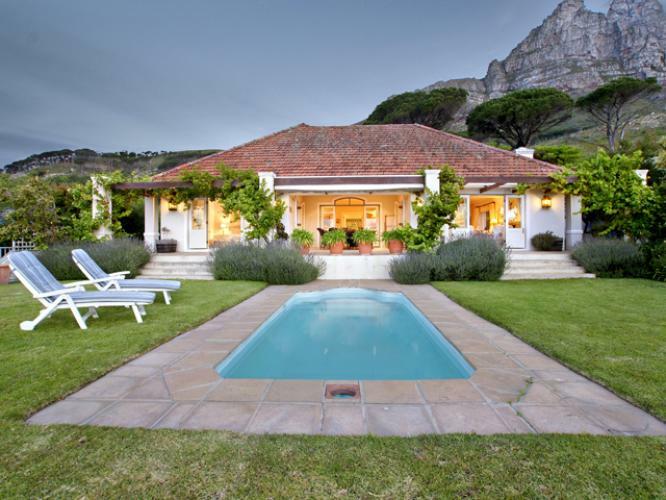 Fit for Royalty, the breath-takingly beautiful Camps Bay Sedgemoor is a 5 bedroom villa of distinction, with both fabulous sea views and the kind of luxury appointments that wouldn’t be out of place in a French Chateau. 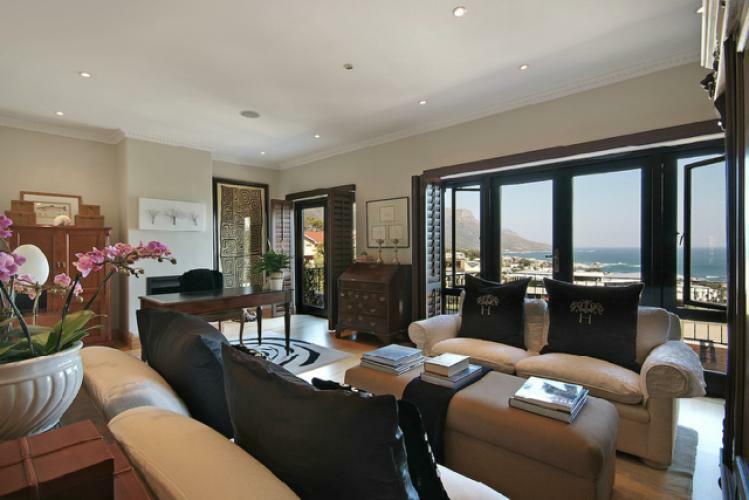 All five bedrooms are en-suite, and the views are expansive, with the sea, Lions Head and Table Mountain creating a dramatic backdrop. This is one of the 5 bedroom villas perfect for any group that needs space for more people to join for an evening. 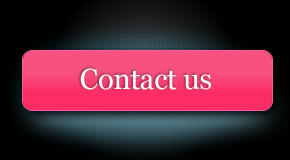 The entertainment areas are well able to accommodate more people – 18 inside and up to 30 outside. And of course there is a pool…this is Cape Town after all! Right on the sea, the gorgeous Bingley Place is ‘to die for doll!’ Bingley Place is called ‘The Grand Dame of Camps Bay’. 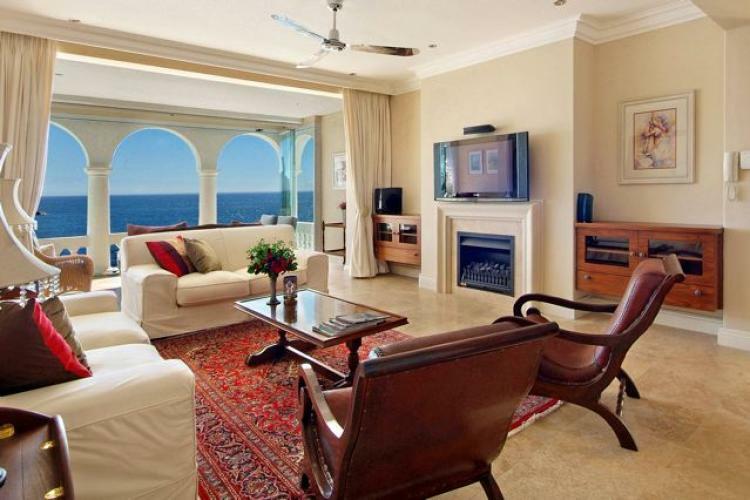 It’s one of the few original Camps Bay properties, beautifully restored while losing none of its history and authenticity. Even better – it’s right on the beach, fully serviced and…it has a pool big enough for everyone to jump in at once! 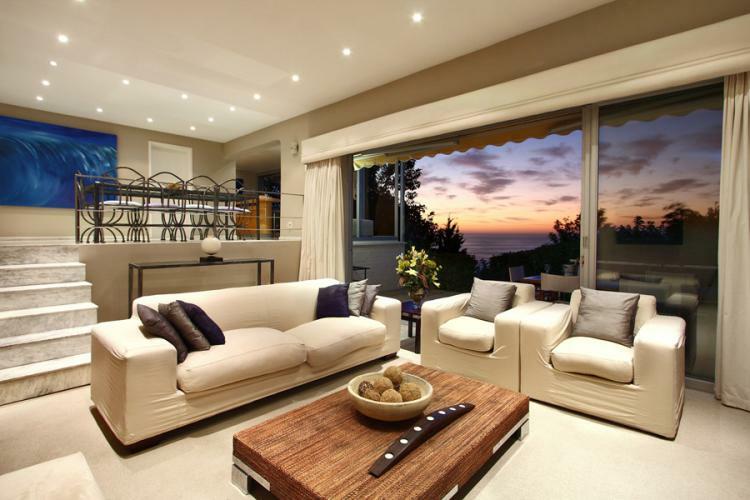 The above examples are just a few of the must-be-seen-to-be-believed selection of large self-catering 5 bedroom villas in Camps Bay, offering plenty of space for large groups and families. From cosy and comfy to outrageous luxury, Camps Bay offers some of Cape Town’s best large holiday rentals – in one of Cape Town’s loveliest areas.